*I received this book in exchange for a review, all opinions are my own. Hello April, and hello Spring! 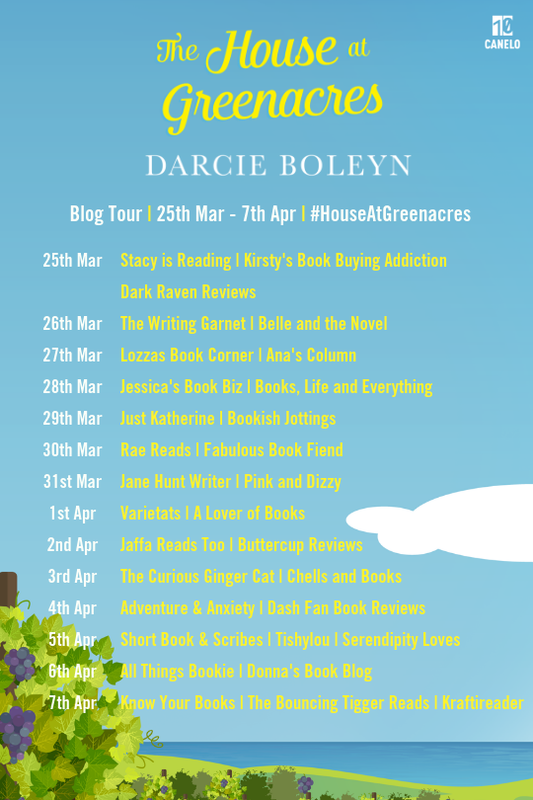 I am ready for some warmer weather and brighter days, and today is my stop on the blog tour for the perfect, uplifting book to go with them - The House at Greenacres by Darcie Boleyn! When Holly Dryden fled Penhallow Sands nearly a year ago she was determined to put the past - and Rich Turner - behind her. But now an unexpected loss and financial trouble has led her back to the family vineyard and it's time to tell Rich the truth - he's a father. Darcie Boleyn has a huge heart and is a real softy. She never fails to cry at books and movies, whether the ending is happy or not. 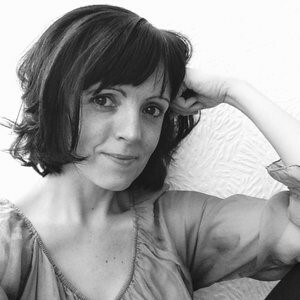 Darcie is in possession of an overactive imagination that often keeps her awake at night. Her childhood dream was to become a Jedi but she hasn't yet found suitable transport to take her to a galaxy far, far away. She also has reservations about how she'd look in a gold bikini, as she rather enjoys red wine, cheese and loves anything with ginger or cherries in it - especially chocolate. 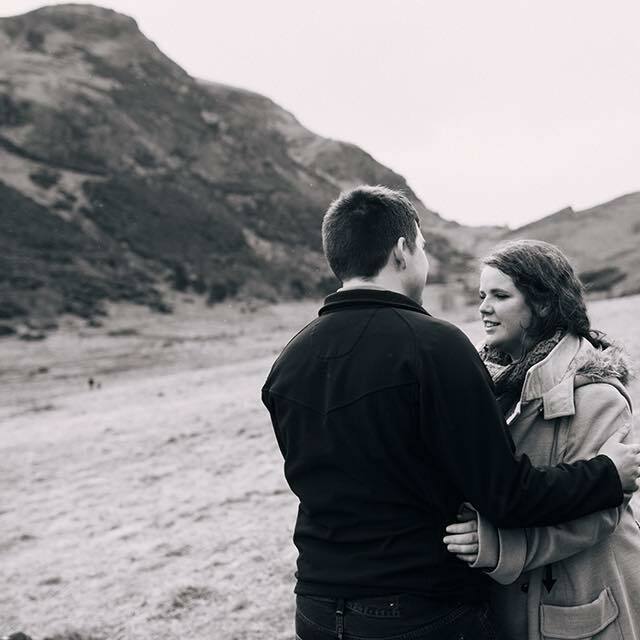 Darcie fell in love in New York, got married in the snow, rescues uncoordinated greyhounds and can usually be found reading or typing away on her laptop. I've been lucky enough to review a Darcie Boleyn book before, when I was part of the blog tour for her feel-good wintery novel, Love at the Northern Lights. Opening up another one of her books and falling back into her writing felt so comfortable and cosy - she has a wonderful way with words and her imagination is a place I'd like to live in! After being let down by her partner Rich, Holly Dryden left her family home (and vineyard!) at Penhallow Sands nearly a year ago. Following her grandfather's death though she has returned and has a surprise with her - her three-month-old son, Luke. As Rich bonds with the son he had no clue existed, Holly finds herself reminded of the things she'd loved about life on the Cornish coast - including Rich. Can she put their past behind them and open herself up to the future? This book kind of spells out my actual fantasy life. I mean, living on a vineyard in Cornwall, with beautiful coastal scenery nearby, big plans for the family business, surrounded by wonderful friends and family and the cutest dog around? Yeah, sounds pretty good to me! I really loved the plot of this novel; while I did kind of know where it was going, I also loved the flashbacks dotted throughout that slowly revealed what had gone wrong between Holly and Rich, and why. This is a book that really highlights the importance of communication, and I absolutely loved that the characters didn't just get emotional based on assumptions they'd made - they fully discussed their feelings and worked through them together. It really showed the maturity they'd both gained. One of my favourite things about Darcie Boleyn's writing is the way she creates such multifaceted characters, even when they are secondary players to the action. I'm really not a fan of books which are crammed full of names but we never get to know the person behind them. This is very much not the case in The House at Greenacres! Every single character has their own story, real and believable personalities, and brings something to the book. While I was completely rooting for Holly and Rich throughout, I also fell in love with Holly's dad and granny. I love the emphasis that was placed on family ties in this book. The most important relationships in life aren't all romantic ones, and I really loved how Holly supported and was supported by her family. This is a thoroughly charming read. Everything about it appealed to me - from the setting to the characters to the uplifting nature of the plotline. 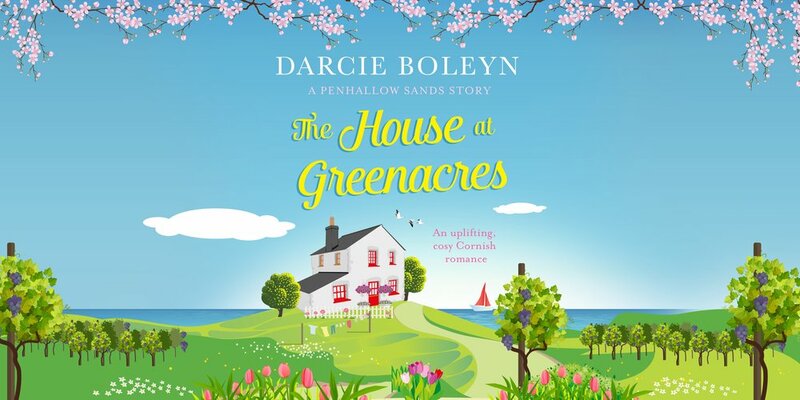 It's the perfect spring/summer book and will leave you wistfully wishing you were in Penhallow Sands yourself! Be sure to check out the other blogs hosting The House at Greenacres on this tour! Huge thank you to Ellie at Canelo Publishing for providing me with this copy.